So you've made the resolution that THIS is the year you're going to lose weight and get in the best shape of your life. You're not going to settle for second best - you're going to achieve that dream body you've always wanted. Great news - this is actually the best time to make that commitment. Why? Because you can take advantage of the powerful momentum and energy a New Year brings to achieve your weight loss dreams. But there's nothing worse than committing to lose weight, only to get lost among the 5 gazillion diets out there. It can get confusing - you may end up wasting a lot of money and effort. You may end up wondering which diet is really the BEST diet for you. You may even end up feeling so frustrated that you give up on your dream of becoming slim and healthy. But it doesn't have to be that way. In order to have rapid weight loss success, you have to find the best diet for you (a.k.a. the diet that will speed you towards your dream body at lightning pace). There are millions of diets - but only a few that are best for you and your lifestyle. The best diet for you will have the 3 key features listed below. Choose your diet with these 3 key features in mind and you're already halfway to your weight loss dreams. Are there before and after pictures of people who have lost weight with that particular diet? Are there customer testimonials? Have there been independent studies done on the diet's success rate? The diet you choose doesn't have to have all three of these but try to find at least some kind of proven success rate before choosing that particular program. Confidence is one of the most underrated factors in a successful weight loss program. If you've tried and failed with diets before you especially need that extra boost of confidence to carry you through the more difficult times in the diet. By reminding yourself that this diet has been proven to work - you'll be able to keep going and reach your weight loss goals. Losing weight should not cost you thousands of dollars (unless we're talking about surgery here and that's an entirely different article). The best diet will be affordable for the average person. A close friend of mine went to a well-known weight loss clinic in our area and was told she had to pay the yearly fees up front (around $1000 NOT including food). They also told her she had to buy their food in bulk (like $500 for a year's worth of chocolate). When the chocolate gave her heart palpitations and she had to take it back, they told her it was non-refundable. She was out the money for the chocolate. Plus, she feels she can't leave the program because she's paid the yearly fees (which, you guessed it, are also non-refundable). She unfortunately made the mistake of ignoring her instincts and paying way too much money for a diet program. If you notice you're being asked for hefty fees right out of the gate, warning lights should be flashing in your mind. Now on the other hand, the best diet WILL cost you something. It actually is better if you put some cash on the table for your diet program. Why? Because when we invest in something we're more likely to stick with it. When we invest in something we are more likely to follow through and get the results we want. For example I did a liver detox several months ago. I'm not really into liver detoxing but I read an article and figured I'd try it. The detox kit cost me a whopping $50 and when I opened the instructions they told me I had to give up junk food for two weeks. In any other universe I would have laughed and simply forgotten about detoxing my liver. But because I'd shelled out $50, I was invested - I decided that I hopefully wouldn't starve from lack of junk food over two weeks and suffered through it. If I'd gotten the detox kit for free there's no way I would have followed those instructions. But because I was invested, I followed through and now have a healthier liver thanking me for it. So when searching for the best diet, putting out some money on yourself and your dreams of a better body is actually a healthy thing. Just keep in mind that you shouldn't have to spend thousands of dollars on it. This is THE most crucial step however it's the one where most people go wrong. When choosing a diet, they simply pick one and go, without considering if it is compatible with their tastes and lifestyle. For example, if you hate feeling deprived or empty you might want to choose a program that lets you eat many times during the day so you don't feel hungry. If you get bored easily you want a diet program that gives you tremendous variety and flexibility. If you don't do a lot of cooking or food preparation, you'll want to look at a program where the food is pre-made for you. Diets are like cars - there are hundreds of different models out there, each with their own unique features. And they can get you where you want to go. But your personality might gel better with certain features than others. Dieting is hard enough. Don't make it harder on yourself by choosing a diet not compatible with who you are. Setting yourself up for success will also guarantee that you'll stick it out until you reach your goal. And one other thing, the best diet will be one that you can get excited about. Choose a diet that you enjoy, that you believe in, that may actually be - gulp - fun. So those are 3 key considerations when looking for the best diet. Keep them in mind and you will progress in leaps and bounds towards your dream body. Remember, planning now may seem boring - but it's the key to your future weight loss success. 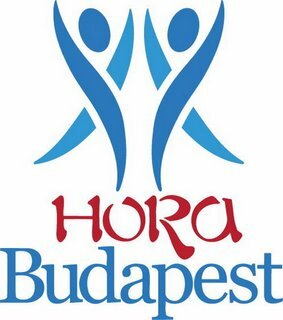 Írta: Hora Budapest Idő: 3/05/2015 03:41:00 du.